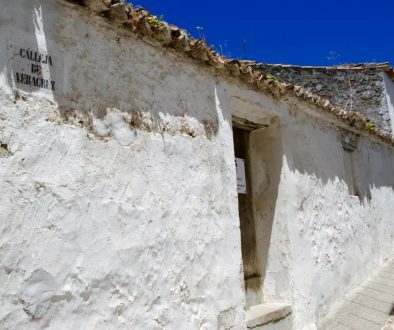 Following the winding street Calle Arrabal leading to the top of the village you will find a large ruin on your left hand side, just before reaching the top. 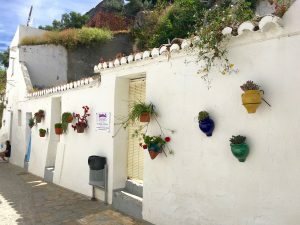 Only the front wall is left of the house and it is beautifully decorated with flowerpots contrasting in strong colours to the white wall. There are 3 doors, with no doors in them, only curtains. Pull one of the curtains to the side and take a step in, you won’t believe your eyes. Behind the curtain reveals a fantastic secret garden created by the neighbours. 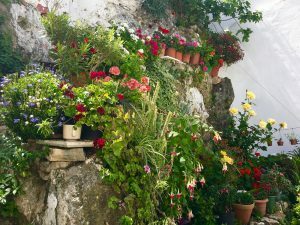 The large roofless room is full with flowers in pots and cans standing on the ground, hanging from the walls and in lines; Roses, pelargoniums, begonias, violas and many more. 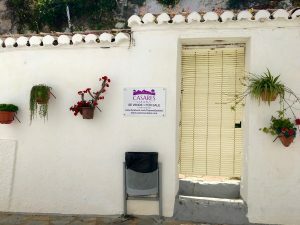 It won’t be long before one of the neighbours comes out to greet you and make you feel welcome in their little village. 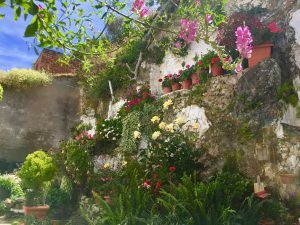 The secret garden has become a tourist attraction with several visitors every day. The ruin can be purchased and rebuilt, partly subsidies by the town hall. 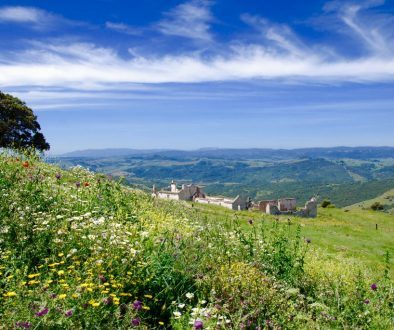 The location is excellent, almost on the top of the village, only a stone throw to the historic hotspot of the remains of the Roman emperor Julius Caesar’s villa. The man who also gave the name to the village. 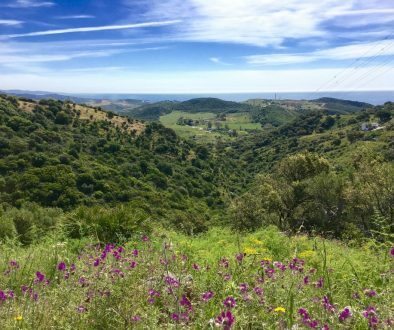 Building another 2-3 floors would also give you a extraordinary panoramic view of the landscape surrounding the village of Casares. 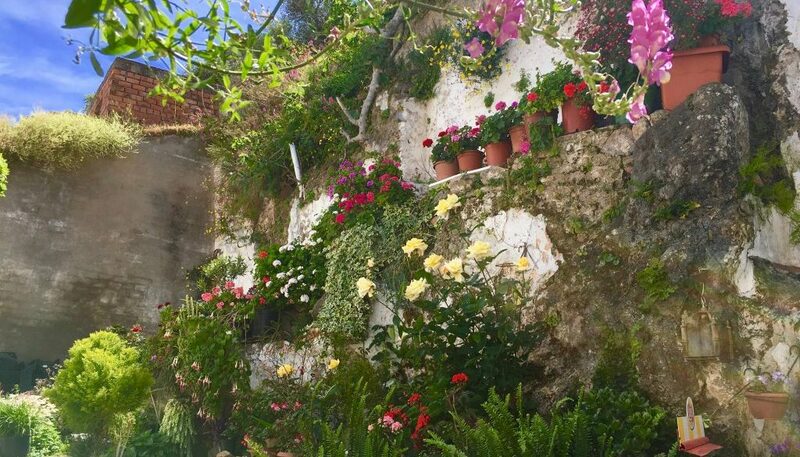 The “Gran Duque” cave in Casares opens for the public 20-21 May	Very attractive investment opportunity in Casares, Costa del sol!